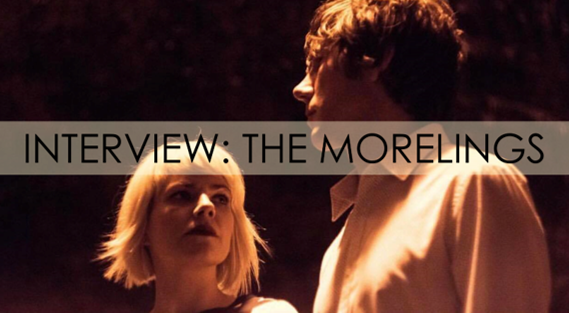 Your resource for all things shoegaze and dream pop: INTERVIEW: The Morelings. Though we have a great respect for many bands that have come before us, our goal is to be relevant now. We have had a lot of support from bands, fans, and writers that closely identify with those genres, shoegaze and dreampop, and so we are thankful for all of that support. Though, I think it’s good to have an audience in mind, we always hope that we are mixing things up enough to not get pigeonholed, which is actually tough these days, as most platforms for sharing music unfortunately require bands to define themselves according to a genre. We like hearing new music on the East Coast scene at shows we play and through playlists we are part of. There's a lot of new talent worth hearing. Always tend to come back to the Vox AC30 for shows and recording. Easy to get a good volume for both. It’s versatile that way. We record demos and play them live, and then those that we seem to come back to the most and seem the strongest get recorded. We like to stay open to inspiration in the studio, however, as often times new parts will come to us while in the process. We released the album digitally on Mostly Venus Records, and we are partnering with Custom Made Music, a Virginia based label, for cassette tapes and vinyl for Same Century. We love vinyl, especially older recordings that have not been converted from digital. I think the convenience that has come with digital recording processes is wonderful and has opened up a lot of opportunity for recording in general and for DIY culture, not to mention making music more available to listeners. However, when it comes to sound, there’s no comparison with analog vs digital. I’m not a purist by any means, but analog recordings always, to my ears, sound warmer and more natural. I think digital technology could still continue to evolve and perhaps rival analog technology at some point, but it’s not close yet. It's hard to pinpoint what artists have influenced us and, even though we've answered this question many times before, the answer keeps changing. Kedra has her vocal influences, and I have mine for guitar, overall production, etc., but our aim in the end is to sound like ourselves and to keep evolving that sound.